Before Or After — When To Apply Grub Control? Not sure when to apply grub control? There's a place for curative and preventative treatments, and your commercial property may require both types of applications. But first things first: Grub prevention treatment. Here’s why we recommend proactively treating grubs. It’s not possible to sterilize your lawn so that grubs never resurface because they’re just so persistent in their pursuit of healthy lawns to feed on. 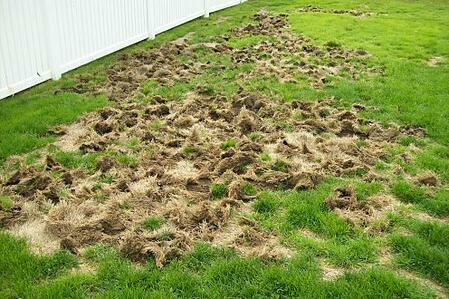 As long as you are irrigating your property and keeping your grass green and lush, the grubs will find you. 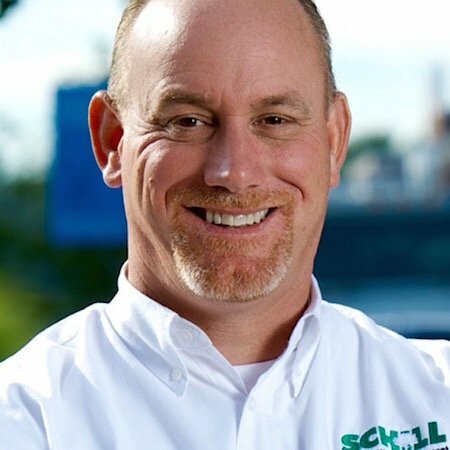 That said, treating your Northeast Ohio property too late can result in more potent curative applications and costly lawn renovation. Our advice: Just plan on grub prevention. Preventative treatments use products with fewer active ingredients and have a lower toxicity than curative applications. Because you are killing grubs when they are small, you just don’t need as much firepower. When grubs are smaller you can use a product with a lower toxicity to manage them, which will have a lesser impact on the environment, including wildlife, bees, birds, earthworms and other beneficial insects and critters. Preventative grub treatments allow you to do more with less, so it’s a more sustainable lawn care solution that yields better results. On the other hand, if you wait for grubs to infest (and grow larger), curative treatment requires using products with greater toxicity. There is a place for curative grub control, and it’s a critical component to saving a lawn that is severely infested with grubs. 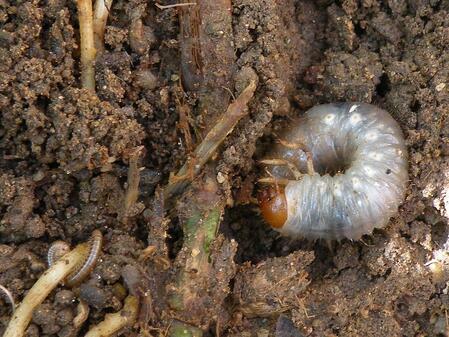 Because grubs are stubborn and spread quickly, they will not go away on their own. Grubs don’t just die out, and they will cause a great deal of damage to your commercial property while they’re feeding. If you neglected preventative grub treatment this year, consider a curative application before grubs set in too heavily and wildlife causes damage to your turf. Also, if you go for a preventative treatment, you may follow up with a curative treatment, depending on the circumstances of the first application. These products need adequate irrigation to be effective. Wind and rain impact their efficacy. 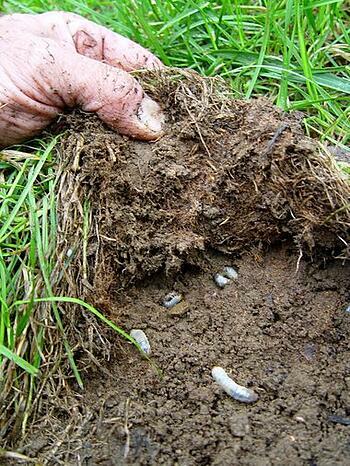 If grub prevention treatments were applied but grubs are still present, a curative follow-up is essential. We always recommend the most sustainable solution for your commercial property. For treatment options, grub prevention is the most responsible answer. We like to include preventative treatment as part of a property owner’s comprehensive lawn care program, with the potential of a curative treatment if grubs are particularly relentless. Give your property a fighting chance to thrive without grubs this year. Let’s talk more about how you can keep your lawn healthy by taking a proactive, sustainable approach to grub treatment. Call us any time at 440-327-3030, or fill out this simple contact form and we’ll get in touch with you.